"Drawing Day Contest Has Ended! From 1st June till midnight 5th June 2010, Pencil Drawing Idea opened a free Drawing Contest where you can submit your best drawings. It can be either image or video. 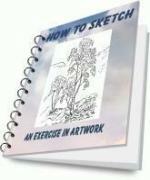 Upload your best drawing images or drawing videos, let others rate them and the best win the Pencil Drawings Ebook. 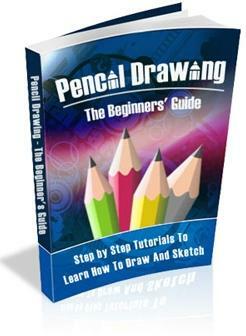 Winners win the Pencil Drawing Ebook worth $17 for FREE with bonuses! (Click here for detail). Enter as many entries as you want! Closing date: Midnight 5th June 2010 (EST). All submissions were rated by our loyal newsletter subcribers as well as Pencil Drawing Idea visitors for a week after the closing date. The top three contestants who received the highest vote will receive the ebook. In addition, there are also special Drawing Day Contest announcement who will also win the prize. Decisions are final. Standing aboard on ship looking aft.. I've always like drawing Disney, so I hit random on my mp3 player and it was Pocahontas. So this is a drawing. This is just an manga guy relaxing. May use it in a story, but we will see. This is a mermaid from one of my stories. Plus a new style of art I've been working on, hope you like it. This is one of my favorite characters from Bleach. I think all contestants are winners! Congratulations again to all winners and to those of you who didn't have the chance to submit their drawings during our Drawing Day Contest, don't worry. You can upload your drawings at various categories at Your Drawing Space. From now on, I'll select from each categories a few drawing submissions which have the highest ratings to receive Pencil Drawings: The Beginners' Guide as my way of saying thank you.